customary greeting and women should be kissed on both cheeks and should be addressed as Monsieur or Madame. French people are popularly known for their like for stylish sportswear and of course perfumes. Nudism is allowed on some beaches only. Social functions, fine restaurants, and clubs call for more formal dressing. When at a formal dinner, wait till the host gestures to start the dinner. Smoking is banned in public places. Paris, the city of love, is a massive city with many attractions in reachable distance thanks to thehighly efficient public transport system. It boasts of more than 80 museums and 200 arts galleries. 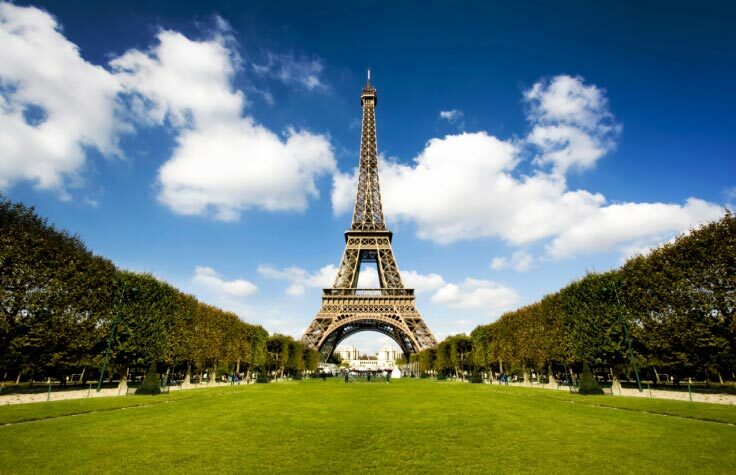 A trip to Disneyland and the magnificent Eiffel tower will make the trip worthwhile. unknown soldier, the forbidding gothic architecture of the Notre Dame cathedral, the picturesque Sacre Coeur, to Leonardo da Vinci’s Mona Lisa, the Moulin Rouge and boat tours along the Seine. Get the Carte Musees-Monuments pass, which gives access to 70 monuments and museums. The national airline that operates here is Air France. Many low-cost airlines, too, provide services from UK. Paris-Charles de Gaulle also known as Roissy-Charles de Gaulle is the major airport of France, which is 23km away from the city. Coaches, taxis, limousines services are provided at the airport. The railway facility provided by the airport, claims to reach all the terminals within eight minutes. These trains run 24 hours. The other airports that offer flight services are Paris-Orly, Marseille, Bordeaux, Nice, Lyon and Toulouse.